ABC’s newest family sitcom, The Real O’Neals may also be its most ambitious thanks to quirky narration, extended fantasy sequences, and a point of view character whose unique worldview is shaped by both his devoutly Catholic mother and his coming out experience in a religious suburb of Chicago. 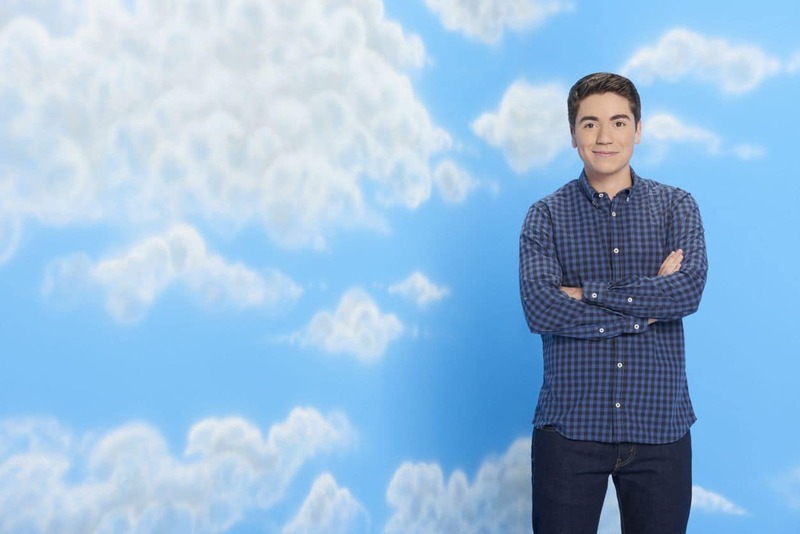 That character is teenager Kenny O’Neal played with pitch-perfect humor and pathos by relative newcomer Noah Galvin. 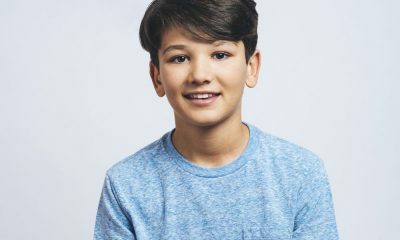 Galvin has been tasked with anchoring the ensemble comedy, and the young actor has proven himself to be the perfect narrator for the tale of a perfect family embracing their imperfections. Galvin recently chatted with Seat42F about this Tuesday’s upcoming episode “The Real Spring Fever” which finds Kenny navigating the dating world for the first time since coming out to his friends and family. Galvin shared a few hints about what viewers can expect from the new episode as well as why he loves playing Kenny and much more. What can fans expect from Kenny in this episode? Galvin: After this week, Kenny has gone on his first date and has immersed himself in school once again as his new out self. He feels more than ever that he is alone being the only out gay kid in a Catholic school and probably in his community that he knows of. He is looking for a connection with someone, and his siblings join in to help him find that, but once he starts on that journey he realizes it is not so simple. There are many facets of the gay community and he now has to figure out where he lies in it. Kenny’s big brother Jimmy has been very supportive of his little brother. Have all of the family secrets coming out brought them closer together or were they always this close? Galvin: I think to a certain extent they have always had this relationship, but when you have a big secret it allows for there to be a big distance between two people. I think once those secrets are out it just allows them to be even more close than they once were. What does the latest episode have in store for the rest of the family? Galvin: I think you are definitely going to see the hijinks. One of my favorite things is the three siblings together. We have a few episodes where the three of us just get into some shenanigans. I’m excited for people to see that. You are going to see Eileen and Pat trying to move on a little bit too, which is interesting. Do you relate to Kenny in any specific way? Galvin: In a general sense, our homosexuality. I’ve said it before, it was important to me that a gay kid play this role: someone who really understands Kenny’s struggles and really understands the gay experience and what it is to come out and how hard that is. I really relate to Kenny in that way. We are both really awkward people, we’re both kind of weird, so that helps in portraying this character. I’m playing a younger, more religious, slightly more articulate version of myself. Kenny’s coming out has been handled in such a respectful, poignant and funny way. What is the next step for Kenny as he embraces his identity? Galvin: Now he is out and comfortable with his sexuality so now it is just about him finding a community, a group of friends. The Real O’Neals gets very specific about the living life in Chicago and being a Catholic family. Is there any detail that has surprised you? Galvin: No, not really. My mom grew up in Chicago so I’m a little bit aware of what that brings and what it means. Also, in terms of religion, I was raised both Jewish and Catholic going to CCD, Hebrew School and church. My siblings were both confirmed and had their Bar and Bat Mitzvahs. My family is certainly not as religious as the O’Neals, and my dad, who is the Catholic one in my family, was not as thumpy as Eileen is, but I totally understand it though. I certainly know people like that. I wasn’t surprised by it all, but it is certainly a wonderful thing to get to portray, especially the relationship between Eileen and Kennny, and the evolution of that relationship and how religion effects that relationship. Is there an upcoming moment or episode you are most excited for people to see? Galvin: I love this show. I think it is funny, I think it important, and the finale is one of my favorite episodes. Kenny has his first kiss with a boy in that episode and I think it is portrayed in a really smart, real way. It doesn’t play out the way you think it will. Why should people who haven’t tuned into The Real O’Neals check it out this week? Galvin: I think this show is doing something really important. 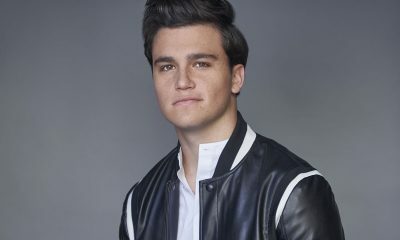 It is a regular ABC sitcom, it sounds like one, looks like one, but it has this one slightly large subversive twist that is this story being told through the eyes of a young, gay man. I think that is important for everyone to see: older people, people who are religious and who struggle with accepting people who might be different, and the aspect of religion itself – I really like that Kenny is a gay kid and has a relationship with God, and that doesn’t really affect his Catholicism, him being gay, and I want people to see that and realize it doesn’t have to affect anything in your life. The world is not going to end. The Real O’Neals airs Tuesdays at 8:30 p.m. ET/PT on ABC.